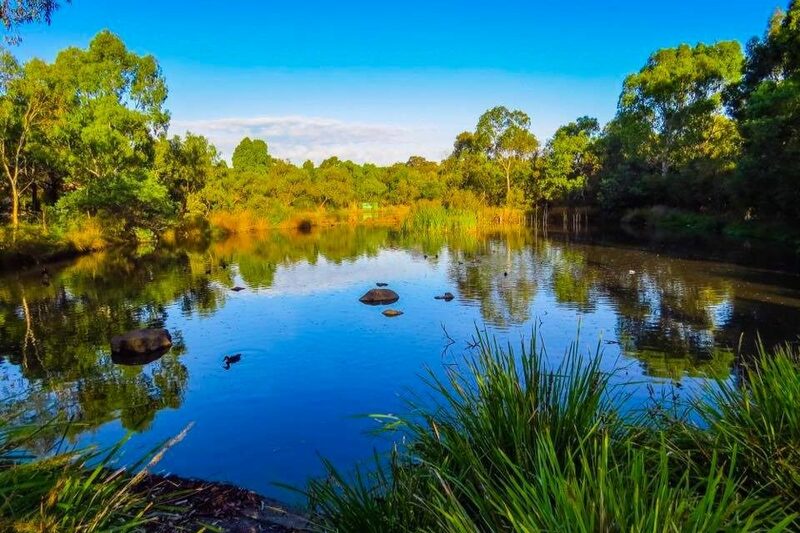 The fauna of the Mont Park/Springthorpe/Macleod area has changed considerably over thousands of years as humans have settled and developed the land, yet hundreds of species of animals still call the area home, less than 20km from the Melbourne CBD. 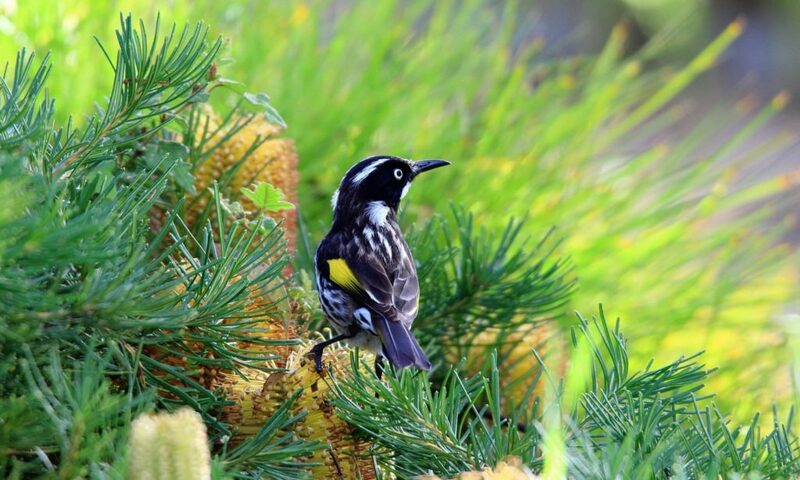 Flocks of hundreds of Regent Honeyeaters were once seen along the seaboard from Adelaide to Brisbane, but due to habitat degradation, less than 500 remain, with anecdotal reports suggesting that the species was last sighted in the La Trobe Wildlife Sanctuary in the 1990s. Still, more than 130 species of birds have been recorded in the area in the last 50 years. 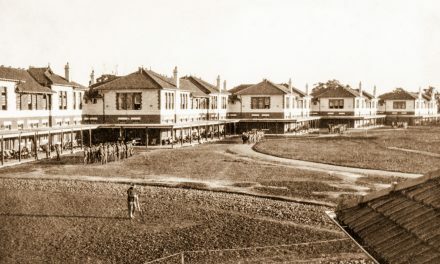 Indeed, land development has led to dozens of bird species being attracted to the area’s suburban gardens, lightly-wooded parklands, and grassy golf course, with their ready supply of bird seed, ornamental lakes, bird baths, and a combination of trees and plants that fruit and flower year-round. For example, two hundred years ago, Little Corellas did not venture south of the Murray River basin, yet they are now a very common bird in the area. The native (and very aggressive!) Noisy Miner has expanded its range, and has pushed out many smaller honeyeater species that (according to early residents) were still common when Springthorpe was being developed in the early 2000s. 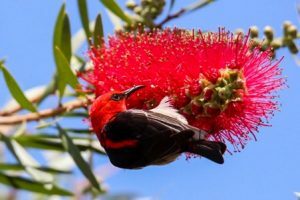 Fortunately, there are a few magical spots in the area where New Holland, White-plumed, White-naped, and Yellow-faced Honeyeaters are still regularly seen. The man-made lakes and ponds have also attracted dozens of species to the area, including ducks (e.g. Grey Teal and Hardhead), cormorants (e.g. Little Pied), rails (e.g. 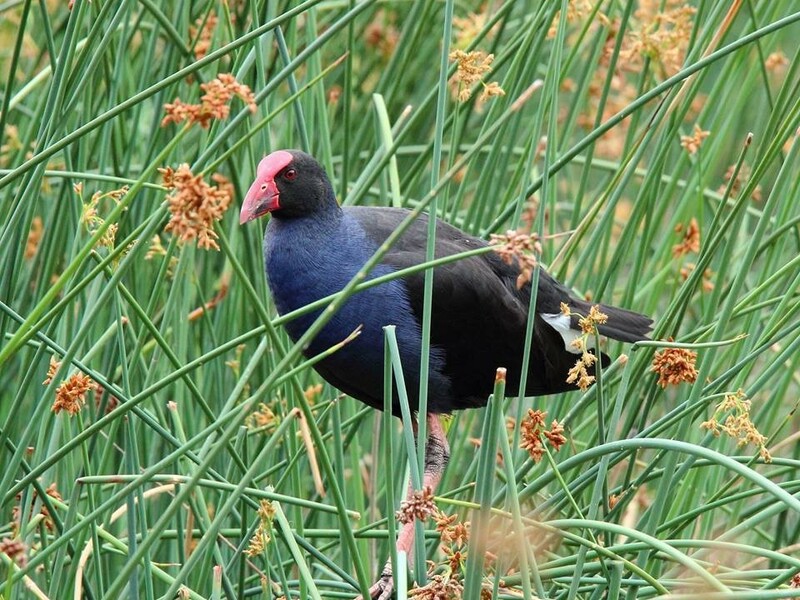 Buff-banded Rail, Purple Swamphen), and herons (e.g. White-faced). 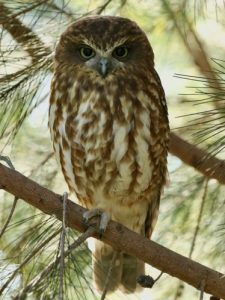 With a ready supply of prey, raptors are regularly seen in the area, from Wedge-tailed Eagles soaring on the thermals high above Gresswell Hill, to Brown Goshawks near the billabong in Gresswell Forest Reserve, to Australian Hobbies in the trees of La Trobe Wildlife Sanctuary. 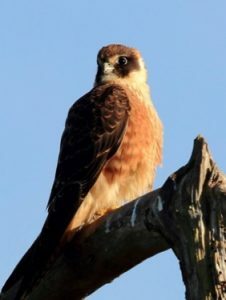 They are now one of the most common birds in the area, with flocks of hundreds of birds roosting each night in the pine trees along Ernest Jones Drive. 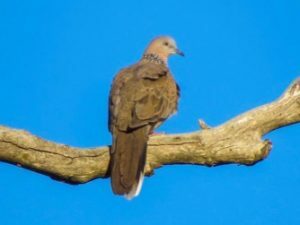 It is less clear why other birds were introduced to Melbourne in the mid-1800s, such as the Common Blackbird, Spotted Dove, and Rock Dove (i.e. feral pigeon), but all are now readily found in the area, and compete with native species for resources, including food and prime nesting spots. 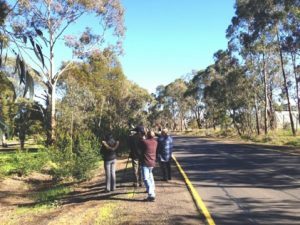 Interestingly, the area is one of the most reliable spots in Victoria to see the native Australian Scaly-breasted Lorikeet, yet the species is not native to the area or the state. The population is believed to be descended from a small flock of birds that escaped from aviaries in the 1980s. Introduced mammals are also found in the area. Though mostly nocturnal, the Red Fox is known to inhabit the Gresswell Habitat Link, but thankfully none have penetrated the predator-proof fences of the Gresswell Forest Reserve and the La Trobe Wildlife Sanctuary. Feral and outdoor cats, however, with their excellent climbing abilities, have a detrimental effect on native wildlife. 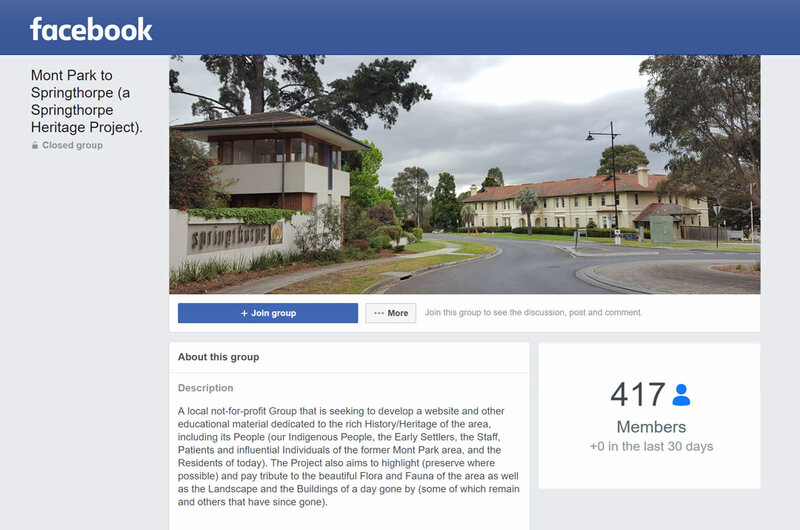 Residents report birds and possums being killed nightly. 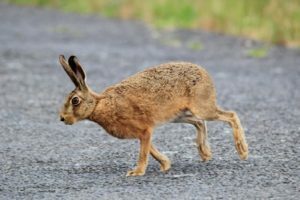 European Hare and Rabbit, like the Red Fox, were introduced in the mid-1800s for recreational hunting, and are regularly sighted in the area, but are less destructive than foxes, and are somewhat tolerated by residents and authorities. 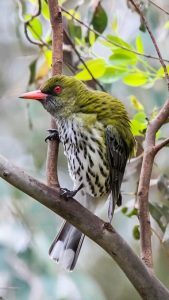 Climate change is also believed to influence the species of birds migrating to Victoria: the Eastern Koel, which usually prefers the warmer northern climate, has been a summer visitor to the area since 2014, perhaps because Victoria’s summers are becoming hotter each year. 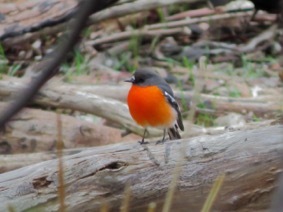 Other regular migrants to the area include: Rufous Fantail, Fan-tailed Cuckoo, and Olive-backed Oriole in summer, and Flame Robins, Scarlet Robins, Yellow-tailed Black Cockatoos, and Gang-gang Cockatoos in winter. 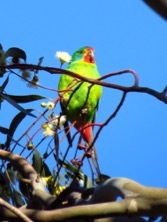 The critically endangered Swift Parrot, of which there are less than 2,000 left in the wild, is one of two species of migratory parrot, spending winters on mainland Australia, and the rest of the year in Tasmania. Bird watchers were in a flutter during the winter of 2014 when a flock of more than 20 (i.e. 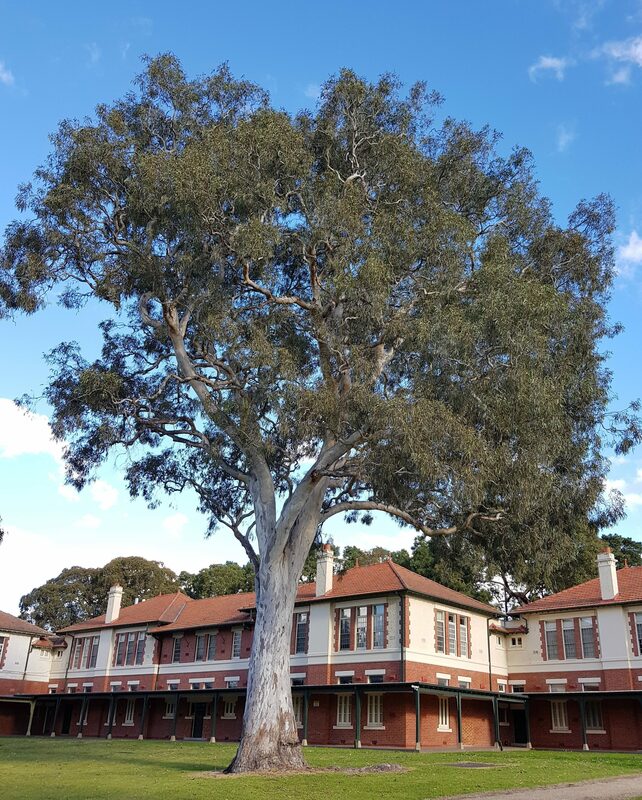 1% of the global population) stayed for weeks in the flowering gums of Car Park 8 at La Trobe University, and then reappeared at the Macleod Train Station in the winter of 2015, with whistle-stop visits to the area in smaller numbers each year since then. 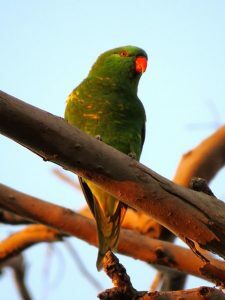 More than a dozen species of parrots call the area home year-round, such as Sulphur-crested Cockatoo, Rainbow Lorikeet, and Red-rumped Parrot. 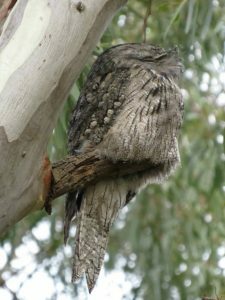 Nocturnal birds such as Tawny Frogmouth are regularly seen roosting in the tall Red Gums during the day and perched on houses at night, while the call of the Southern Bobook echoes throughout Springthorpe on still, summer nights, and the deep ‘hoo hoo’ call of the rare Powerful Owl has been heard on a few occasions. Many of Australia’s mammals are also nocturnal, and are the main source of food for owls. 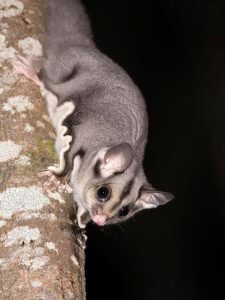 Despite habitat degradation, Brush-tailed Possums, Ring-tailed Possums, and Sugar Gliders are found in the wooded sections of the area, and are regularly spotted in residents’ backyards. 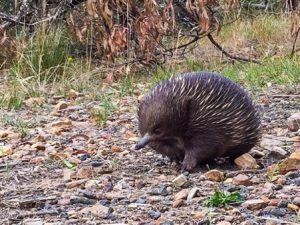 Echidnas are often seen waddling across Springthorpe roads, much to the delight of residents who have even named their local monotremes. Grey-headed Flying Foxes (a large species of fruit bat with a wingspan of over 1m) were irregular visitors to Melbourne until the mid-1980s, when, due to loss of habitat in Queensland and New South Wales, thousands took up residence in the Royal Botanic Gardens. 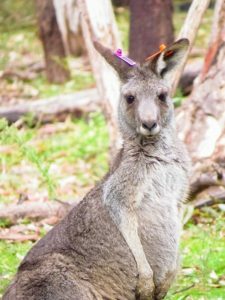 By 2003, their numbers grew to more than 20,000, and they were moved by wildlife authorities to Yarra Bend Park where they still call home. http://ausbats.org.au/flying-foxes-in-melbourne/4569172225Each night they fly out across Melbourne in search of fruits, and they are regularly seen in gardens in the area. Flying Foxes share the local skies with microbats – tiny bats no larger than a digit on a hand – with the latter preferring to gorge on mosquitoes and other insects. Snakes are very rarely seen in the area, with only a handful of records of Tiger Snakes in backyards. 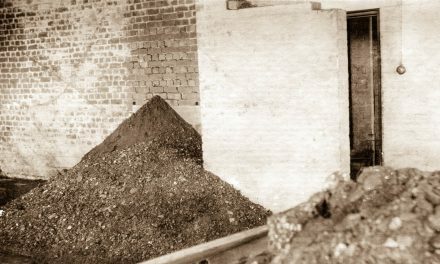 Lizards, however, are very common, with many homes having resident skinks in their gardens, and Blue-tongued Lizards under their decks. Frogs are found in local ponds, which in turn attract frog-eating birds, such as White-faced Heron. 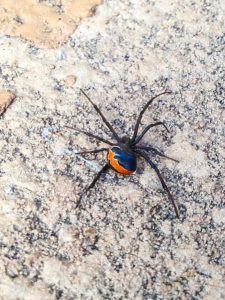 Insects are prevalent in the area, as are spiders, with White-tailed Spiders now found in almost all houses, and Redback Spiders a common garden resident. 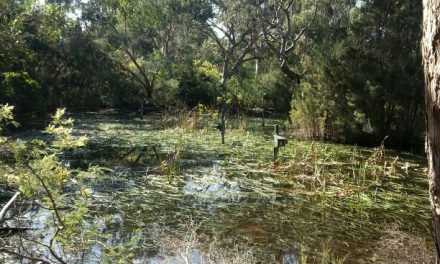 The Mont Park/Springthorpe/Macleod area continues to be awe-inspiring to all visitors and residents with its sheer diversity of ever-changing wildlife, just 20 kms from the Melbourne CBD – we have an obligation to protect it for future generations. Previous‘Fisticuffs’ at the Ernest Jones Recreational Hall. 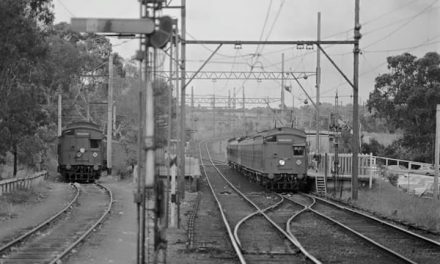 THE MONT PARK PLATFORM AND RAIL LINE. If only the River Red Gums could talk.